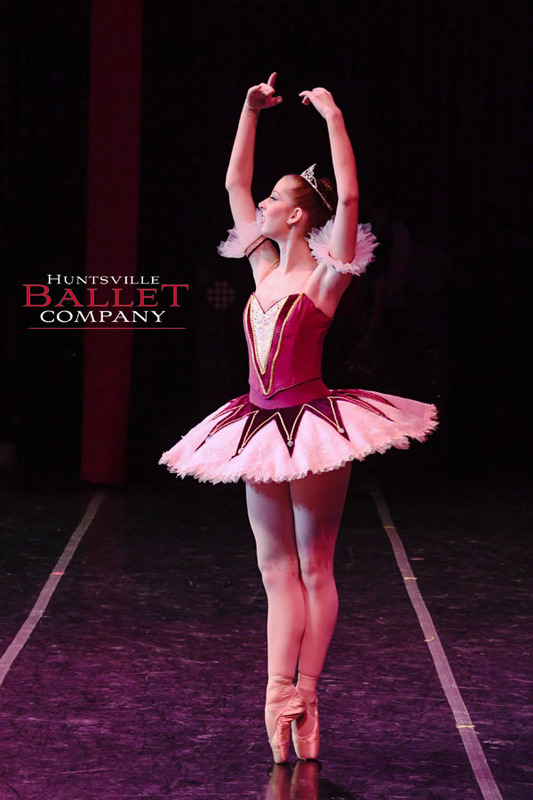 Huntsville Ballet Company along with the Huntsville Symphony Orchestra performs The Nutcracker annually at the Von Braun Mark C. Smith Concert Hall. 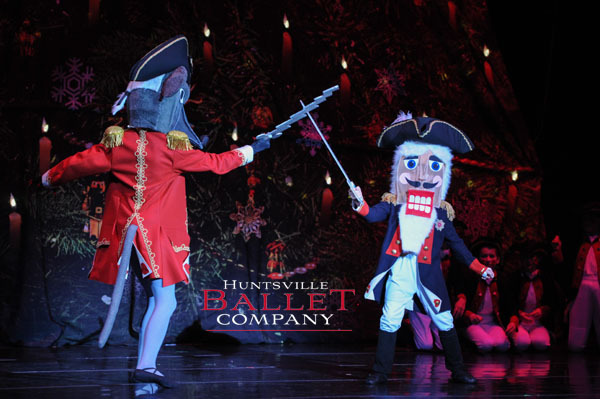 Set in the 1850’s in Huntsville, Alabama, our production of The Nutcracker has a traditional feel thanks to the Huntsville history sets and elaborate antebellum-style costumes. Phillip Otto, Artistic Director of Huntsville Ballet Company worked closely with David Harwell, the theater program director at the University of Alabama in Huntsville, to remake the sets of the annual holiday performance to mark Community Ballet Association’s 50th year. CBA is the umbrella under which the Huntsville Ballet Company and the Huntsville Ballet School both operate. The ballet company’s seamstresses work for months on the elaborate costumes and continue to update costumes annually. Sets include include a filmy front drop that depicts the Quietdale mansion that is located in Northeast Huntsville; it’s a special drop where you can see through it, like you’re looking through the windows. Tchaikovsky's score is brought to life as the Huntsville Symphony Orchestra performs live for each performance with Huntsville Ballet Company. The story begins at a family party at the Erskine home on Christmas Eve about 1850. 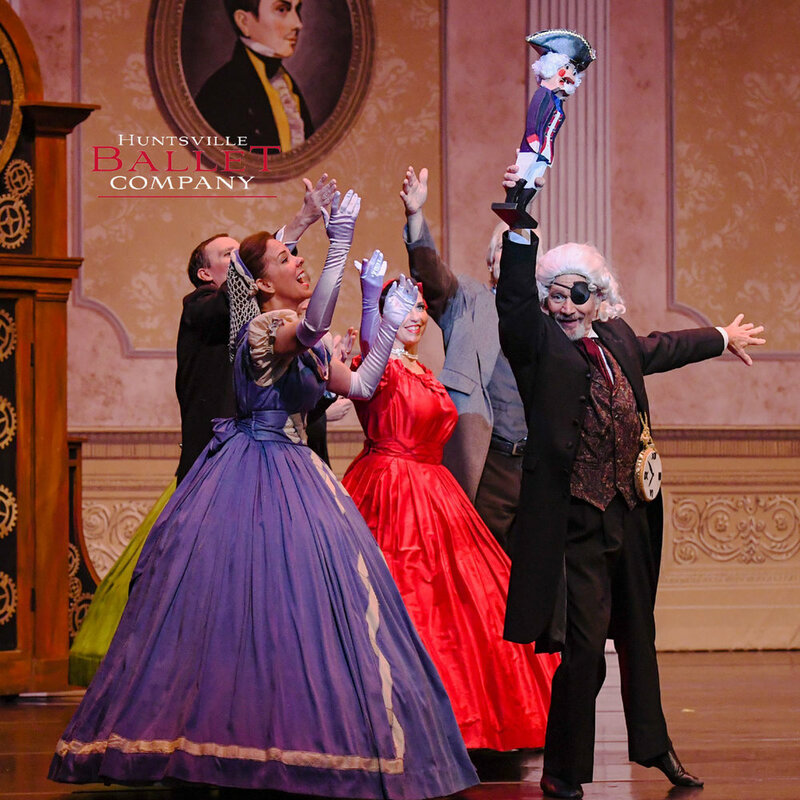 Little Laura Erskine receives a gift from her magical godfather, Drosselmeyer. It is a nutcracker dressed as a soldier. Laura's brother, Albert, is jealous of the nutcracker and breaks the toy in anger. The nutcracker comes to life in Laura's dreams that night. He battles the wicked mice who try to steal the children’s Christmas toys. The nutcracker takes Clara on an enchanted journey through the Kingdom of Snow to the Kingdom of Sweets. The Sugar Plum Fairy welcomes Laura and the Nutcracker, who is now her prince. The Sugar Plum Fairy introduces dancers from many lands to entertain Laura while she is visiting the Kingdom of Sweets. The climax of the magical evening is a grand pas de deux (a dance for two) by the Sugar Plum Fairy and her Cavalier. There is a grand finale which is a happy ending for all. Huntsville Ballet, along with our community partners, will host a magical evening at the Von Braun Center, Mark C. Smith Concert Hall on Thursday, December 6, 2018. It is our honor to invite Active Duty, Retired, Guard and Reserve military members and their families to a complimentary performance of The Nutcracker. Please join us for an evening that is sure to get you in the spirit! Huntsville Ballet Company is proud to partner with the U.S. Marine Corps Toys for Tots for a fourth year and will have boxes at the door for donations of new, unwrapped toys. The Rocket City Jazz Orchestra will open the evening at 6:00pm followed by Huntsville Ballet’s performance of The Nutcracker at 7:00pm. Complimentary tickets will be available with proper Identification at Huntsville Ballet 800 Regal Drive and at the ITR Office. Tickets are $15 each and are required for anyone above the age of one year. Revel in the magic of the Nutcracker at Supper with Santa, wonderful dancers and beloved music. The Huntsville Ballet celebrates the 2018/2019 season with our 50th annual production of the Nutcracker on December 7, 8, and 9th! This is a fabulous holiday treat for the whole family! 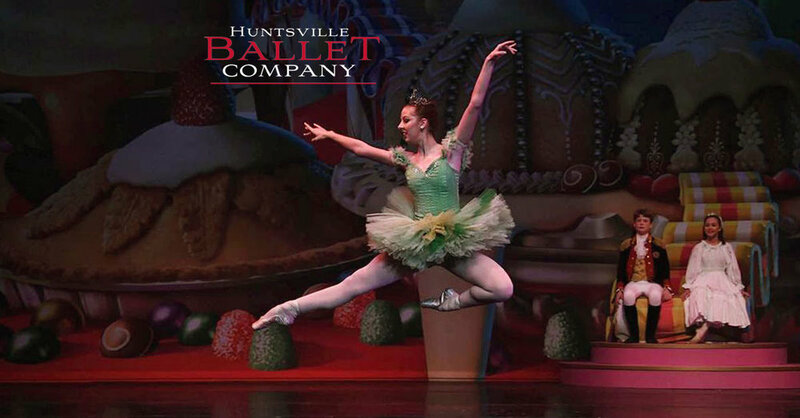 Huntsville Ballet is offering a special BOGO ticket sale during both Supper with Santa seatings each night. They accept credit cards and checks made out to Huntsville Ballet. For more information and to purchase Supper with Santa tickets, please visit: www.earlyworks.com/supper-with-santa.